Alfred the Great is a rare historical figure from the early Middle Ages, in that he retains a popular image. 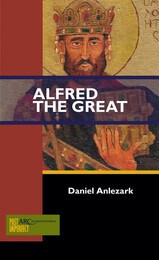 This image increasingly suffers from the dead white male syndrome, exacerbated by Alfred's association with British imperialism and colonialism, so this book provides an accessible reassessment of the famous ruler of Wessex, informed by current scholarship, both on the king as a man in history, and the king as a subsequent legendary construct.Daniel Anlezark presents Alfred in his historical context, seen through Asser's Life, the Anglo Saxon Chronicle, and other texts associated with the king. 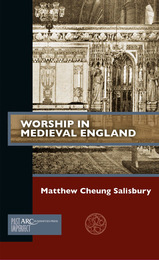 The book engages with current discussions about the authenticity of attributions to Alfred of works such as the Old English Boethius and Soliloquies, and explores how this ninth-century king of Wessex came to be considered the Great king of legend. By placing medieval sealing practices in a global and comparative perspective, the essays gathered in this volume challenge the traditional understanding of seals as tools of closure and validation in use since the dawn of civilization. Far from being a universal technique, sealing is revealed as a flexible idiom, selectively deployed to mediate entangled identities: the introduction of Buddhism in early medieval China; the Islamization of Sasanian and Byzantine cultures; even the advancement of diplomacy from northern Europe to Indonesia. In this unique collection the authors present a wide range of interdisciplinary methods to study, document, and conserve material cultural heritage. The methods used serve as exemplars of best practice with a wide variety of cultural heritage objectshaving been recorded, examined, and visualised. The objects range in date, scale, materials, and state of preservation and sopose different research questions and challenges for digitization, conservation, and ontological representation of knowledge. Heritage science and specialist digital technologies are presented in a way approachable to non-scientists, while a separate technical section provides details of methods and techniques, alongside examples of notable applications of spatial and spectral documentation of material cultural heritage, with selected literature and identification of future research. This book is an outcome of interdisciplinary research and debates conducted by the participants of the COST Action TD1201, Colour and Space in Cultural Heritage, 2012–16 and is an Open Access publication available under a CC BY-NC-ND licence. 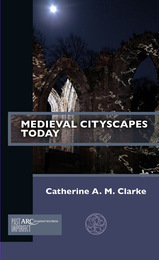 This book explores medieval cityscapes within the modern urban environment, using place as a catalyst to forge connections between past and present, and investigating timely questions concerning theoretical approaches to medieval urban heritage, as well as the presentation and interpretation of that heritage for public audiences. 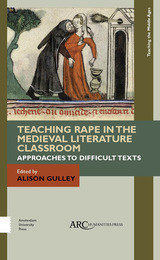 Written by a specialist in literary and cultural history with substantial experience of multi-disciplinary research into medieval towns, <i>Medieval Cityscapes Today</i> teases out stories and strata of meaning from the urban landscape, bringing techniques of close reading to the material fabric of the city, as well as textual artefacts associated with it. 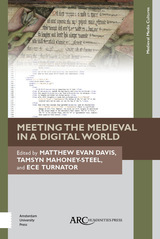 This book looks at the intersection between medieval studies and digital humanities, confronting how medievalists negotiate the “virtual divide” between the cultural artefacts that they study and the digital means by which they address those artefacts. The essays come from medievalists who have created digital resources or applied digital tools and methodologies in their scholarship. 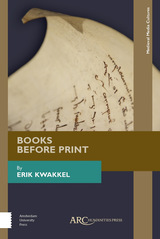 Text encoding and analysis, data modeling and provenance, and 3D design are all discussed as they apply to western European medieval literature, history, art history, and architecture. 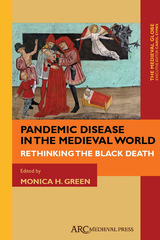 This ground-breaking book brings together scholars from the humanities and social and physical sciences to address the question of how recent work in the genetics, zoology, and epidemiology of plague's causative organism (Yersinia pestis) can allow a rethinking of the Black Death pandemic and its larger historical significance. Pictish studies is undergoing significant revision and invigoration, with recent archaeological discoveries and new methodologies in archaeology, cultural geography and art history prompting a re-assessment of Pictish cultural and social development. We can now say more about the cultural and political lives of the Picts than ever before, and these new findings are enabling a fresh perspective on the wider development of Early Medieval polities across the Latin west. This short book provides an exciting and informed synthesis of our current understanding of Pictish history and material remains. <I>Christ on a Donkey</I> reveals Palm Sunday processions and related royal entries as both processional theatre and highly charged interpretations of the biblical narrative. Harris’s narrative ranges from ancient Jerusalem to modern-day Bolivia, from veneration to iconoclasm, and from Christ to Ivan the Terrible. A curious theme emerges: those representations of Christ’s entry into Jerusalem that were labelled blasphemous or idolatrous by those in power were most faithful to the biblical narrative of Palm Sunday, while those that exalted power and celebrated military triumph were arguably blasphemous pageants. Written by scholars who specialize in Roman history, religion, and culture, this book is written for travellers in search of inspiration and learning as they tour the streets, churches, museums, and monuments of the Roman past. Combining biographical portraits of some of Rome’s most significant historical figures with a study of the monuments, artworks, and places associated with them, <i>People and Places of the Roman Past</i> offers an informative and insightful look at the human and cultural history of one of the great cities of the world. Based on the material of the Old Norse Icelandic sources written down in the twelfth to fourteenth centuries, this book demonstrates how medieval Scandinavians imagined Eastern Europe. It reconstructs the system of medieval Scandinavian perception of space in general, and the eastern part of the <i>oecumene</i> in particular. It also examines the unique information of these sources, of which the Russian chronicles were unaware. Difficult as it is to imagine today, in 1937 America’s two leading media companies fought over the right to perform Shakespeare for an American radio audience in an attempt to bring prestige to their networks. 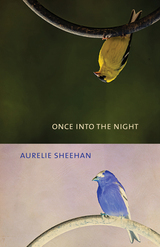 The resulting fourteen broadcasts are among the more remarkable recreations of Shakespeare of their time. This lively and engaging book shows the cultural dominance of radio in the 1930s, and tells the story of why the networks each wanted to lord Shakespeare’s prestige over the other, how they put their series together, the critical reception, and the cultural impact and legacies of the broadcasts. This short book offers a series of thought experiments and invites Shakespeareans to rediscover the wonders and pleasures of fandom. It does not argue that comic books and movies can or should replace Shakespeare; the goal is to explore the values in both, to think of comics as allusively Shakespearean, telling similar stories, expressing similar concerns, exploring similar values. Shakespeare and Superheroes seeks to re-democratize criticism by encouraging all readers to engage in and to respond to literary arguments using their own common cultural language. The Peace of God was one of the most important movements of the Middle Ages, yet is highly contested. It has been seen as both radically innovative and fundamentally traditional; as millenarian and not millenarian; as a popular movement and as a way of consolidating power for the elites. Geoffrey Koziol argues for the validity of all these differing viewpoints, because specific instantiations of the Peace of God varied greatly, and there were inherent contradictions in early ideas of peace and peace-making. 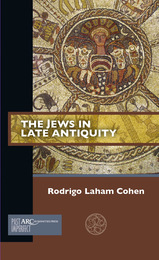 The lack of source material makes it challenging, but this short book uses the available evidence to present facts and debates around Jews in late antiquity and to provide a first step towards the understanding of this little-known period in Jewish history. It focuses on seven different regions: Italy, North Africa (except Egypt), Gaul, Spain, Egypt, the Land of Israel, and Babylonia. Law has been a primary locus and vehicle of contact across human history—as a system of ideas embodied in people and enacted on bodies; and also as a material, textual, and sensory "thing." This volume analyzes a variety of legal encounters ranging from South Asia to South and Central America, Africa, the Middle East, and Europe. The seven essays also explore various material expressions of law that reveal the complexity and intensity of cross-cultural contact in this pivotal era. 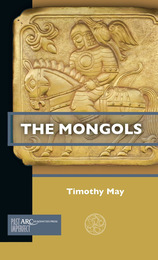 The Mongols emerged from obscurity to establish the largest contiguous empire in history. Although they are now no longer viewed as simply an unbridled force of destruction, it remains unclear as to how they succeeded in ruling a empire that stretched from the Sea of Japan to the Black Sea. 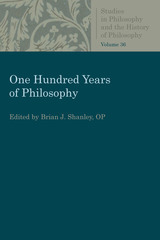 This book investigates how the Mongol adopted and adapted different ruling strategies from previous Inner Asian empires as well as Chinese and Islamic Empires to rule an empire in which they were a distinct minority, and also investigates the processes by which this empire fragmented into an increasing number of states, many of which lasted into the seventeenth and eighteenth centuries. This book intertwines two themes in medieval studies hitherto kept apart: comparisons of Latin and Orthodox Europe and the "feudal revolution" of the late- and post-Carolingian periods. The book broadens the debate by comparing texts written in "learned" and "vulgar" Latin, Church Slavonic, Anglo-Norman, and East Slavonic. From this comparison, the Kingdom of the Rus appears as a regional variation of European society. This suggests current interpretations overemphasize factors unique to the medieval West and overlook deeper pan-European processes. Companion volumes <i>Classic Readings on Monster Theory</i> and <i>Primary Sources on Monsters</i> gather a wide range of readings and sources to enable us to see and understand what monsters can show us about what it means to be human. The first volume introduces important modern theorists of the monstrous and aims to provide interpretive tools and strategies for students to use to grapple with the primary sources in the second volume, which brings together some of the most influential and indicative monster narratives from the West. 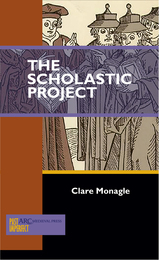 This is a somewhat polemical, and very passionate, plea for more work not only about the house that scholasticism built, but those who were excluded from it.This book is the story of how scholastic theology defined this universal subject in terms of the reasonable white man and a catalogue of the exclusions which ensued. The categories of woman, Jew and heretic were core others against which ideal Christian subjectivity was implicitly defined, and this book shows just how constitutive these ‘others’ were for the production of orthodoxy in the Middle Ages. 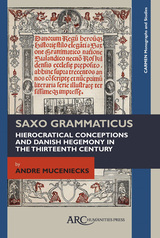 Denmark of the twelfth to thirteenth centuries was a place of transitions, and this volume analyzes that period through the lens of the <i>Gesta Danorum </i>of Saxo Grammaticus and other sources. The <i>Gesta</i> defends not only hierocratic conceptions but the Danish hegemonic project in the Baltic - which was grounded in the crusade movements. Such movements are presented through complex language and imagery about a glorious past brought to bear on the projects in the thirteenth century while internal tensions strengthen the monarchic and ecclesiastical institutions. This book presents a reconstruction of the socio-economic, ethnic, cultural, and political history of the Carpathian-Danubian area in the eighth and ninth centuries at a period when nomadic peoples from the east including the Bulgars, Avars, and Khazars migrated here. 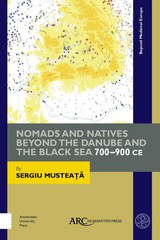 The work is based on a comprehensive analysis of narrative and archaeological sources including sites, artefacts, and goods in the basin bordered by the Tisza river in the west, the Danube in the south, and the Dniestr river in the east, covering swathes of modern-day Romania, Moldova, Ukraine, Serbia, and Hungary. 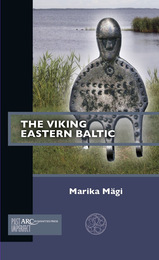 This book demonstrates howcommunication networks over the BalticSea and further east were establishedand how they took different forms in thenorthern and the southern halves of theEastern Baltic. Changes in archaeologicalevidence along relevant trade routessuggest that the inhabitants of present-day Finland and the Baltic States weremore engaged in Viking easternmovement than is generally believed. Contributions to a global understanding of the medieval period need not encompass the globe in any territorial sense. 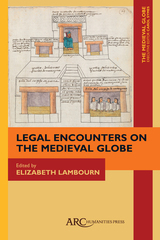 <i>The Medieval Globe</i> advances a new theory and praxis of medieval studies by bringing into view phenomena that have been rendered practically or conceptually invisible by anachronistic boundaries, categories, and expectations: these include polities, networks, affinity groups, artistic influences, identities, bodies of knowledge, faiths, and forms of association. 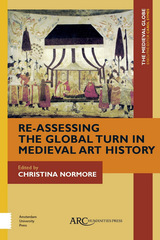 The growth in debates concerning the concept of 'the global' in medieval art history, and the more complex picture of Eurasian and African societies and material culture that has emerged in the past two decades has highlighted challenges to traditional art historical narratives, specializations, and scholarly training. And while these problems affect Byzantine, Islamic, Western medieval, and East Asian art history, there has been little conversation among scholars in these fields. A cutting-edge work on global medieval art, this volume offers a starting point for conversations among scholars working on multiple cultural regions. Study of the migration of motifs, materials, personnel, and finished objects in Eurasia has a long pedigree in medieval art history, and the broadening attention to material culture as an alternative to purely textually based historical accounts has been integral to reshaping the conception of an interconnected medieval world. The growth in debates concerning the concept of Ÿthe globalŒ throughout art history, and the more complex picture of Eurasian and African societies and material culture that has emerged in the past two decades has highlighted challenges to traditional art historical narratives, specializations, and scholarly training. And while these problems affect Byzantine, Islamic, Western medieval, and East Asian art history, there has been little conversation among scholars in these fields. A cutting-edge work on global medieval art, this volume offers a starting point for conversations among scholars working on multiple cultural regions. 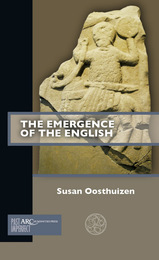 This book takes a critical approach to the dominant explanation for the transformation from post-Roman to 'Anglo-Saxon' society in Britain from the fifth to the eighth century: that change resulted from north-west European immigration into Britain. After testing this paradigm, the author explores the increasing amount of evidence for the gradual evolution of late Roman into early medieval England, and suggests some new directions for research that may lead to the development of more holistic explanatory models. 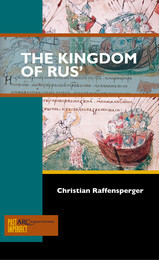 This book sets out to answer the question of why Eastern Church writers showed no interest in analytical reasoning - the so-called "intellectual silence" of Rus' culture - while Western Church writers, by the time of the Scholastics, routinely incorporated analytical reasoning into their defences of the faith.Donald Ostrowski suggests that Western, post-Enlightenment- trained, analytical scholars often miss the point, not because of an inability to comprehend cultural ideas which seem abstract and ineffable, but because the agenda is different. Saints were powerful role models in the early Middle Ages, capable of defining communities. But what roles did saintly biographies play in shaping the medieval West? Can we understand society and its many post-Roman transformations through them? 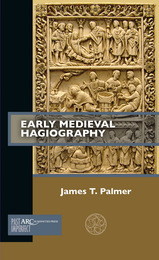 This short book takes readers from the creation of medieval hagiography, through the ways in which it circulated, to a wide-ranging assessment of different modern methodologies used to interrogate hagiographies, from early twentieth-century source criticism, to the insights gained from gender studies, postmodernism and digital humanities. 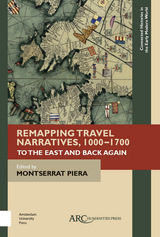 With a specific focus on travel narratives, this collection looks at how various Islamic and eastern cultural threads weaved themselves, through travel and trading networks, into Western European/Christian visual culture and discourse and, ultimately, into the artistic explosion which has been labeled the "Renaissance." 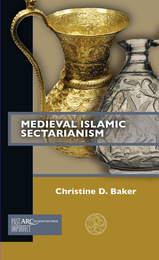 Scholars from across humanities disciplines examine Islamic, Jewish, Spanish, Italian, and English works from a truly comparative and non-parochial perspective, to explore the transfer through travel of cultural and religious values and artistic and scientific practices, from the eleventh to the seventeenth centuries. As scholarship continues to expand the idea of medieval Europe beyond "the West," the Rus' remain the final frontier relegated to the European periphery. The Kingdom of Rus' challenges the perception of Rus' as an eastern "other" – advancing the idea of the Rus' as a kingdom deeply integrated with medieval Europe, through an innovative analysis of medieval titles. 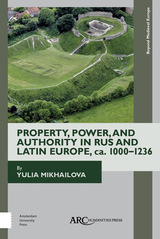 Examining a wide range of medieval sources, this book exposes the common practice in scholarship of referring to Rusian rulers as princes as a relic of early modern attempts to diminish the Rus'. Not only was Rus' part and parcel of medieval Europe, but in the eleventh and twelfth centuries Rus' was the largest kingdom in Christendom. The medieval world was full of malicious demons: fallen angels commissioned to tempt humans away from God. 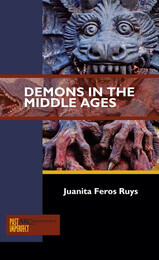 From demons disguised as beautiful women to demons that took frightening animal-like forms, this book explores the history of thought about demons: what they were, what they could and could not do, and how they affected human lives. It considers the debates, stories, and writing that eventually gave shape to the witchcraze of the early modern period. Literary archives differ from most other types of archival papers in that their locations are more diverse and difficult to predict. 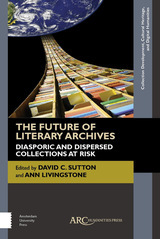 The essays collected in this book derive from the recent work of the Diasporic Literary Archives Network, whose focus on diaspora provides a philosophical framework which gives a highly original set of points of reference for the study of literary archives, including concepts such as the natural home, the appropriate location, exile, dissidence, fugitive existence, cultural hegemony, patrimony, heritage, and economic migration. <div><i>The Medieval Globe </i>provides an interdisciplinary forum for scholars of all world areas by focusing on convergence, movement, and interdependence. Contributions to a global understanding of the medieval period (broadly defined) need not encompass the globe in any territorial sense. Rather, TMG advances a new theory and praxis of medieval studies by bringing into view phenomena that have been rendered practically or conceptually invisible by anachronistic boundaries, categories, and expectations. TMG also broadens discussion of the ways that medieval processes inform the global present and shape visions of the future.</div><i>The Medieval Globe</i> is published biannually, in both print and digital formats. Just how medieval is the modern university? From their medieval beginnings in Western Europe, universities have remained monolithic and static entities, renovating themselves just enough to avoid massive interventions by the state or the church. Like parliamentary democracies, they function just well enough that while feelings of despair are frequent, and anticipation of imminent collapse constant, they continue. 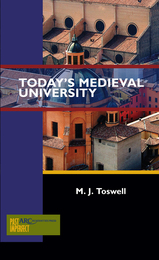 In the modern era, as universities face a new set of challenges, this book asks if there is not some value in pondering the medieval university, and the continuities that exist as much as do the fractures. 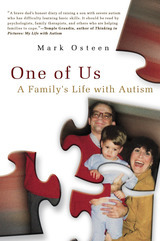 This book is called a manifesto because it has an unapologetically political objective. Richard Utz wants to help reform the way we think about and practise our academic engagement with medieval culture, and he uses his own observations as a medievalist and medievalism-ist over the last twenty-five years to offer ways in which we might reconnect with the general public that has allowed us to become, since the late nineteenth century, a rather exclusive clan of specialists who communicate mostly with each other.The traditional academic study of the Middle Ages, after more than a century of growing and plateauing, is now on the decline. While, at least over the next five to ten years, we will still be basking in the reassuring proximity (at conferences) of thousands of others who are involved in what we do ourselves, there is a manifest discrepancy between the large number of students who request that we address their love of Harry Potter, Lord of the Rings, Game of Thrones, and medieval-themed video and computer games, and the decreasing number of actual medievalists hired to replace retiring colleagues. We should pursue more lasting partnerships with so-called amateurs and enthusiasts for the sake of a sustainable future engagement with medieval culture. Richard Utz suggests some ways we might do this, and looks forward to “a more truly co-disciplinary, inclusive, democratic, and humanistic engagement with what we call, for better or worse, the Middle Ages”. 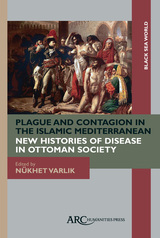 This book discusses diseases that affected human and non-human populations in areas stretching from the Red Sea and Egypt to Anatolia, the Balkans, and the Black Sea, in the early modern and modern eras. It tackles various questions of historiography and sources, tests new interdisciplinary methodologies, and asks new questions while revisiting older ones. It contributes to Ottoman studies, the history of medicine, Mediterranean and European history, as well as global studies on the role of epidemics in history. The election of fringe political parties on the far and extreme right across Europe since spring 2014 has brought the political discourse of "old Europe" and "tradition" to the foreground. Writers and politicians on the right have called for the reclamation, rediscovery, and return of the spirit of national identities rooted in the medieval past. Though the "medieval" is often deployed as a stigmatic symbol of all that is retrograde, against modernity, and barbaric, the medieval is increasingly being sought as a bedrock of tradition, heritage, and identity. 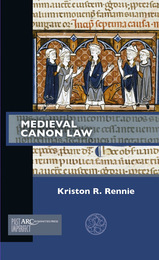 Both characterizations – the medieval as violent other and the medieval as vital foundation – are mined and studied in this book. 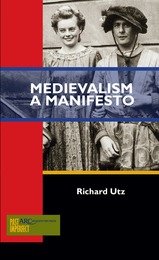 It examines contemporary political uses of the Middle Ages to ask why the medieval continues to play such a prominent role in the political and historical imagination today. The history of the Late Roman Empire in the West has been divided into two parallel worlds, analysed either as a political and economic transformation or as a religious and cultural one. But how do these relate one to another? 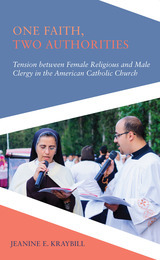 In this concise and effective synthesis, Ian Wood considers some ways in which religion and the Church can be reintegrated into what has become a largely secular discourse. The Church was at the heart of the changes that look place at the end of the Western Empire, not only regarding religion, but indeed every aspect of politics and society. 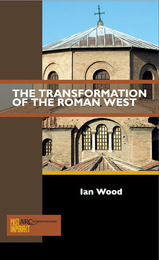 Wood contends that the institutionalisation of the Church on a huge scale was a key factor in the transformation which began in the early fourth century with an incipiently Christian Roman Empire and ended three hundred years later in a world of thoroughly Christianised kingdoms. This collection expands previous regional and individual studies of queenship and female political agency in order to engage in a comparative study of premodern female rule on a global scale. While the field of queenship studies and examinations of gender and power have been flourishing, the literature has tended to be dominated by studies of European royalty. 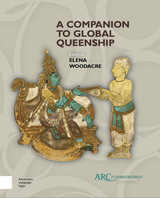 This volume aims toembrace and develop the trend towards an increasingly global outlook for the field of queenship studies. Case studies of women from different periods, places, and religions are deliberately mixed to compare and contrast the realities of queenship in varied settings. 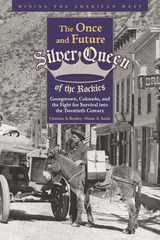 Lesser studied examples of queens are provided alongside fresh perspectives on more familiar figures and regions. The authors increase our understanding of understudied individuals and groups of queens, and they encourage the comparison of the practice of queenship in the premodern era. This authoritative and comprehensive Companion will be required readingfor all scholars and students of premodern gender and political studies.